Yep I am doing it to myself again. 6 days straight, but again I have some crazy reason behind this. Last time it was to secure extra days off. This time similar reasons. I’ll still be getting the same amount of days off just all consecutively. Managed to score Easter off as a whole (will talk about my Easter plans shortly) but I will now have 5 days off straight. From Thursday all the way through to return to work Tuesday. Score! So yesterday was a pretty good day, found out when I should be heading overseas (again stay tuned would rather wait till I have a confirmed date) and had the annual Avis launch party at work. Although I bailed a little early (later than planned though due to making the finals in barefoot bowls) it was a good night and apparently the team won Best dressed team prize (but I didn’t put much effort in or stick around till then so in my opinion I don’t deserve a share in the prize) and but for when I was there it was a good night and it was better than expected. This morning though a bit annoyed at my bike as the chain came off half way up a hill just as I was getting a good groove on this morning so that just did not help. Back on the bike tomorrow and see how things pan out. Well the Visa Interview has come and gone. The Stress was just way to much to handle and I think I did some stupid things on Wednesday that I should not have done. Nothing overly stupid like forgetting things, just not using my brain properly when I should of. But the trip was worth it. I flew down on Tuesday afternoon, after getting moved to an earlier flight, then that flight gets delayed by an hour so I dont end up getting down to Sydney any earlier. After a $30 cab ride from my hotel to the Sofitel and back again to pick up all the official paperwork. It was a long long day being up at 430am and not having dinner till about 1030 at night (although I will say the Ox Tongue bento box I came across was DELICIOUS!!!!). Wednesday morning was spent after a work out, relaxing my nerves by walking from my hotel near Central Station all the way to the US Consulate (bad move #1). This calmed me down and after a coffee and some interview prep I was ready to go. After heading up to the Security area of the Consulate and being told I was to early and to come back. I did some more waiting and after a while went back to check in. Security was a bit more strict (as expected) and after being chastised for my paperwork and being told that going with an attorney is always a waste of paperwork (whatever lady!) I was into the Consulate properly. The interview went well and it kind felt like a non event. It was over so quick I wasn’t sure what was going on. But I was over the moon. First thing now. Get some food into me! After heading off and having some amazingly good Sourdough Toast I packed up all my stuff at the hotel, checked out and headed off to have my lunch with my sister and my first nephew Braedon. All in all, so worth all the stress to have that Visa Approved. Now a little bit more waiting while the powers that be organise my departure date etc. So at the moment I wait a little bit for a date to go, but till then, the big stress is over! I posted a few weeks ago revealing details of my intended new adventure, moving to the USA. Well it is update time. After the last update my Equivalency for my job had come through. This meant that my life & work experience gave me the equivalent of a Bachelors Degree and this would fulfil the conditions of an E3 Visa to the USA. Well the good news is all the paperwork for the Visa is now complete. There is but one step to go before I will have a visa, hot off the press, in my passport. As with any actual visa for the USA (Visa Waiver doesn’t count) you need to go to a US Consulate to have the visa physcially issued and go through an Interview process. Well with all my paperwork in hand I was able to pay the Visa Fee ($390!!!!) and organise my appointment for my interview. Thinking that I may have to wait several weeks, I was totally shocked when the first available appointment was THIS WEEK!!! So I snatched it up without having to go through all the painful paperwork and then have to sit and wait, tapping my feet. Hurry up and wait is something, although I am used to, I hate with a passion. This was perfect!!! So now with plans to fly down Tuesday afternoon, pick up all my documents from another hotel in Sydney (rooms at the Sofitel were just WAY to much) and then make my way to where I am staying (Mercure Sydney). Then first thing Wednesday morning, I will be toting my big folder full of documents to the US Consulate in Martin Place, no doubt going through a mass amount of security and then hopefully not to late after, I will be approved to head to the USA. Then I can spend the afternoon relaxing, possibly catch up with my sister and nephew and fly home! Then the real journey will begin. As yet I know that an actual date for leaving has not been set as it was dependant on how long I would have to wait for the interview, but I know it will be sooner rather than later! Let us hope and pray it all goes well. 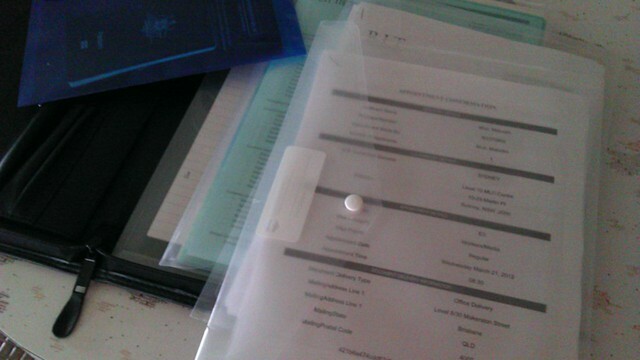 And just to show you just how much paperwork I am required to take with me, heres a shot of the back up paperwork. All the originals are currently flying their way over from Seattle via a personal courier (someone from the company I am going to work for was already heading over so two birds, one stone). Probably one of my favourite meals of the day would have to be Brunch. It’s not quite breakfast, it’s not quite lunch. 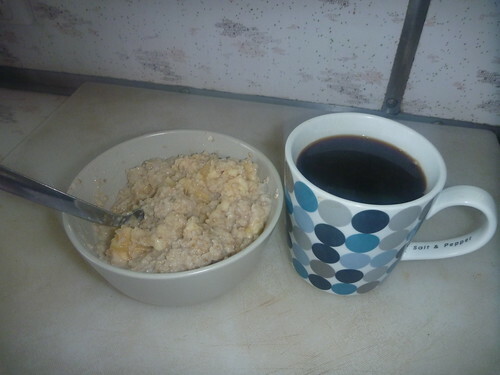 Breakfast for me is a must, as I tend to work out in the morning, I have to eat in the morning, or my body shuts down. Give me a nice, simple breakfast, followed by a few cups of coffee & mal is a happy, happy man. But what I do enjoy is trying the most wonderfully sinful breakfasts you can find. I have had some really amazing breakfasts in my time, but its those breakfasts that everyone calls brunch (I prefer to call it breakfast) that just makes your day relaxed. This was the craziest thing I could of dreamt of having yet everything that came out of the kitchen at Skillet looked amazing and I had plate envy all morning! A Must do, I mean seriously if you ever go to Tokyo you MUST have sushi at their fish markets. OR ELSE! Had to have it with a side of bacon (just cause I was craving bacon). But this is the epitome of a Brunch dish, not quite breakfast, not quite lunch. 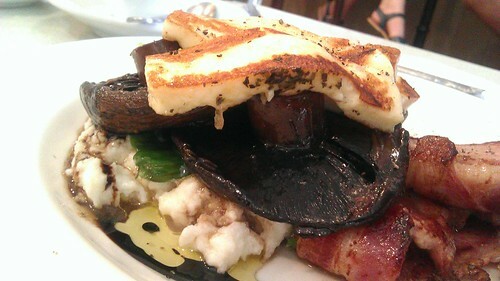 Kind of like an Modern Aussie take on Grits for breakfast but either way, damn it was good, and I want more of those mushrooms! A Massive amount of food, but each little bit, so amazing! This was just that typical Canadian Breakfast. Pancakes, Eggs, Bacon, Sausage and Maple Syrup. Served with Coffee, lots and lots of coffee! Typical North American fare really but you kind of expect that! A bowl of oats, a banana and some coffee. Thats pretty much my breakfast these days year round. It’s healthy, filling and keeps me going. What more can you ask for! So I watched a video the other day about happiness in our lives. The talk that it came from was really great and one thing they suggested doing was for 21 days, list 3 new things each day you are grateful for.